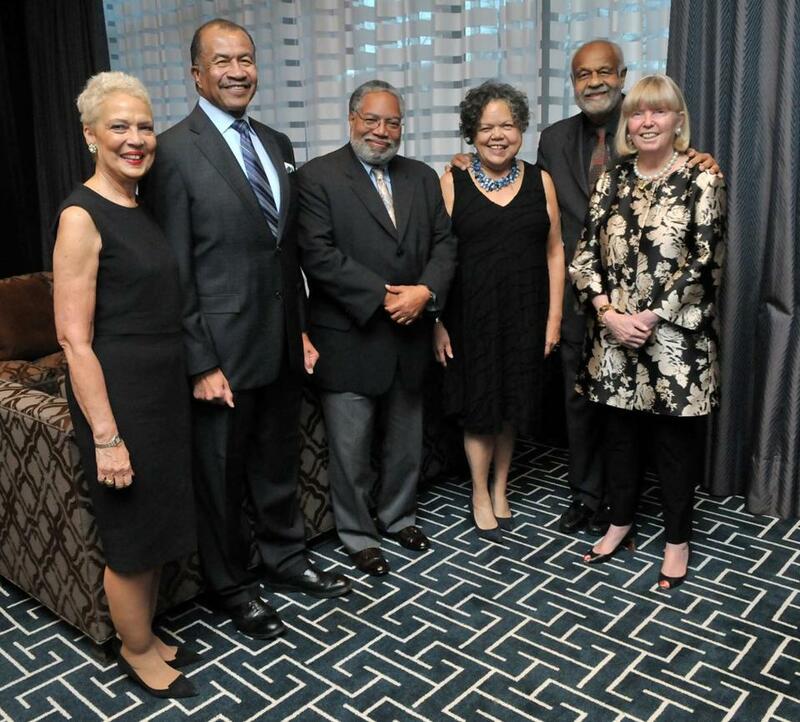 From left: Benaree Pratt Wiley, Wayne Budd, Lonnie Bunch, MAAH executive director Marita Rivero, Fletcher H. Wiley, and MAAH board chair Cathy Douglass Stone. The Museum of African American History paid tribute to two men Sunday at its Living Legends gala, an annual event recognizing outstanding leadership upholding the legacy of 18th- and 19th-century black patriots advocating for freedom and justice. Wayne Budd, former US attorney for the District of Massachusetts and associate attorney general of the US, and Lonnie Bunch, founding director of the Smithsonian’s National Museum of African American History and Culture, were feted this year. They joined past Living Legends such as Harry Belafonte, Cicely Tyson, and the late mayor Tom Menino and were presented with the William Lloyd Garrison Silver Cup by gala co-chairs Benaree Pratt Wiley and Fletcher H. Wiley. At the gala, held at the Four Seasons Hotel Boston, guests celebrated the opening of the national museum in D.C. and recognized the 210th birthday of the Beacon Hill African Meeting House.